Tiffany Watt Smith is a cultural historian. 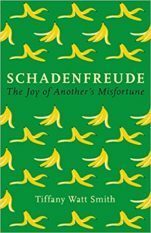 Her most recent book Schadenfreude: The Joy of Another’s Misfortune explores this much-maligned emotion, and is published in Autumn 2018 (UK, Wellcome/Profile; US, Little Brown). Her previous book, The Book of Human Emotions (UK Wellcome/Profile 2015; US Little Brown, 2016) tells the stories of 154 feelings from around the world, and has been published in 9 countries so far. She is also the author of an academic monograph On Flinching (OUP, 2014). 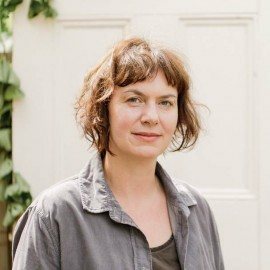 She was educated at the universities of Cambridge and London, and is currently a senior research fellow at the Centre for the History of the Emotions at Queen Mary University of London, and a lecturer in the School of English and Drama there. Her research has been funded by the Wellcome Trust, the British Academy and the Arts and Humanities Research Council. In 2014, she was named a BBC New Generation Thinker, and appears frequently on BBC Radio 4 and 3. Her writing has appeared in The Guardian, The New Scientist, BBC Magazine and The Pool among others. Her TED talk The History of Human Emotions has been viewed by over 1.6 million people around the world.